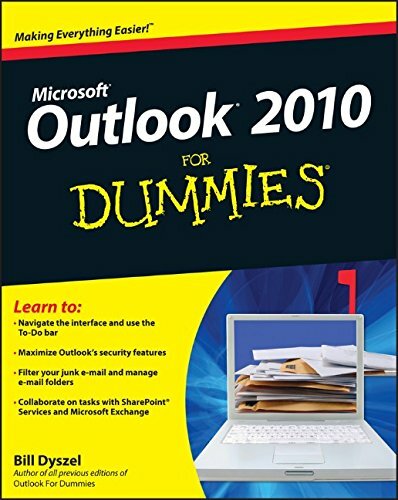 A Microsoft Outlook Email Template allows you create predefined Emails for responding to common questions or situations. In a prior post, I showed how you can use the Gmail Canned Response feature. This allows you compose replies to common messages and lets you save them for future use. There is a similar feature hidden in Outlook called an Outlook Email Template. 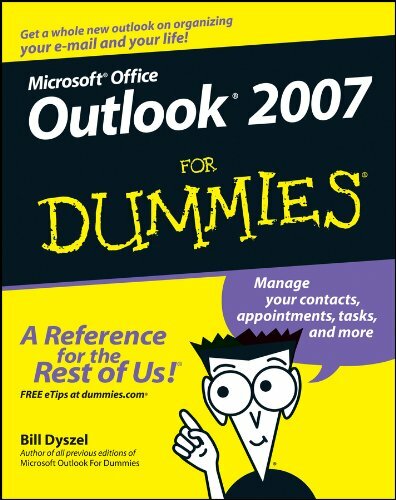 Most people are not familiar with the Outlook Email Template feature. And even fewer know how to create them and access them. But they are a powerful feature to help automate and streamline your Email processing. Instead of typing the same message text over and over again, you create an Outlook Email Template. This allows you to quickly launch a completely predefined Email message ready to send. Don't worry about entering anything addresses in the "to" or "cc" fields (unless you always want this Email template to go to those same people). Fill in the subject line just how you want it to look. Fill in the body of the Email just how you want. In the "Save as type" pull-down, select "Outlook Template (.ost)". You can now exit out of your draft Email since it has been saved as a template. In Outlook, select the little "pull-down" arrow next to the word "New". In the "Look In" pulldown, choose the option "User Templates in File System". You should now see the name of the template(s) you created in the steps above. A new message will be created based on the chosen template. It will contain the same message, subject, formatting, and images from that template. 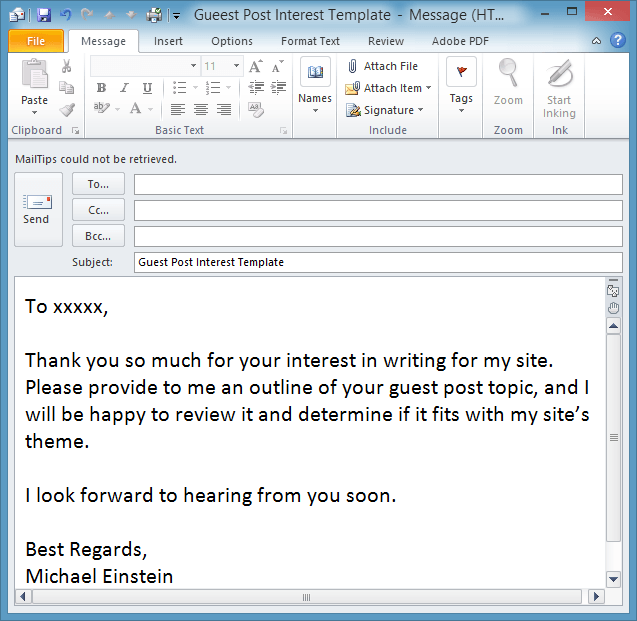 To make changes to an existing Outlook Email Template, open it as per the steps above. Make any changes you need to that Email Template. Now, just save the template using the exact same name. This will “overwrite” the existing template with your updated changes. Done! Note: It is possible that on your system, Outlook Email Templates are in a different folder. Just “browse" and then select the template. If you frequently use Outlook Email templates, here is a handy shortcut - you can actually "pin" them to your Outlook task bar. Go to the folder where the Outlook templates are located (see the “Location of Outlook Email Templates" above). Now, the next time you need to use this Outlook Email Template, just “right-click” the Outlook icon on the taskbar. Select the template, and it will be automatically launched. Note: You can even pin several different templates to your Outlook taskbar if you need to. So, these are the basic steps to create and use an Outlook Email Template. It is similar to the Gmail Canned Response feature. 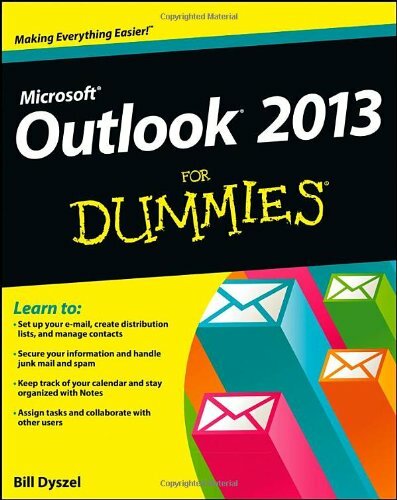 And it creates a more complete Email then with the Outlook Quickparts feature. This is a great way to save time when you have common Email messages that you send out to people on a repeating basis. 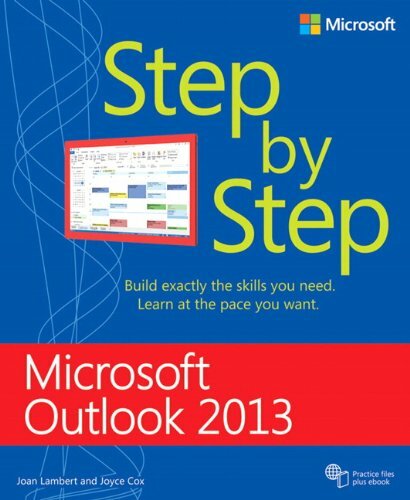 Do you use the Outlook Email Template feature? If so, what do you use them for?